We are all aware of the fact that shipping process is an integral part of selling physical products online. A robust order delivery process would require setting up shipping zones, adding shipping methods for each zones and lastly setting the rates for them. There are variations in setting the shipping zones and today we shall discuss one of it that focusses on understanding the process of setting WooCommerce shipping zones based on postal codes. Shipping zone is mainly a geographical area where you ship the products ordered online. This could be a country, group of countries or specific states/provinces or zip/postcodes. When a customer places an order online, he can see the shipping methods available for the area mentioned by the customer for delivery and can match only one zone. 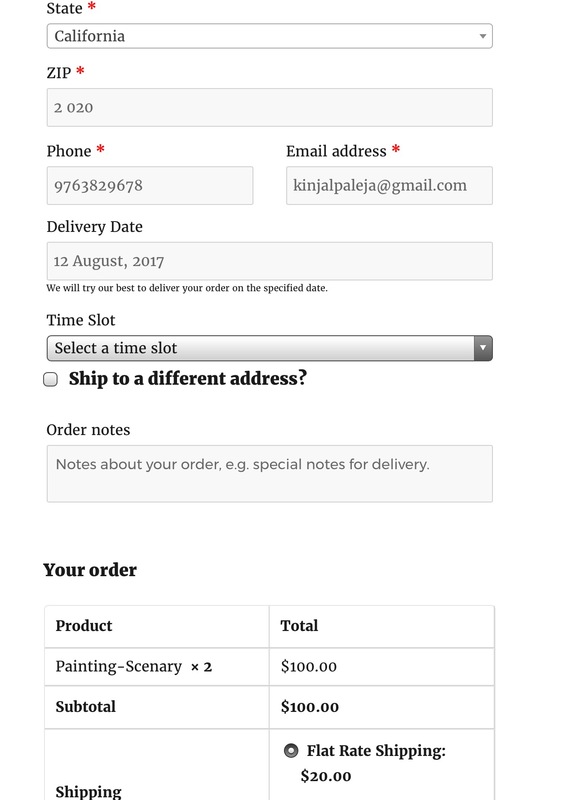 When a customer from South America with zip code 2 020 places an order, Flat Rate shipping method will be available on the checkout page. This mode of setting shipping zone based on zip/postcodes defines the most specific geographic shipping areas for delivery and are useful for businesses that offer In-Store Pickup facility. 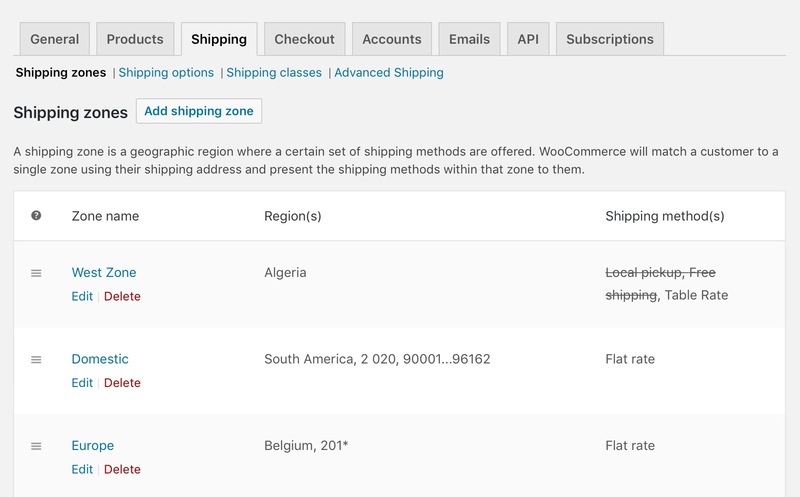 In WooCommerce, you are allowed to add multiple shipping zones with each of these zones having its own shipping methods set. Now you need to add details like zone name and region with its postcode as shown below. Here, regions can be either continents, countries, states or provinces. This way you can further narrow down to match the customer to its zone. For instance, you can set one local zone and select specific set of postcodes or range of postcodes as shown in image above in point no.1. 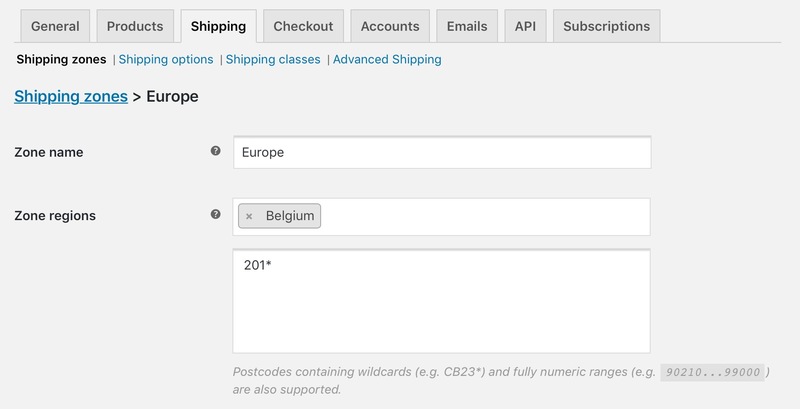 You can even set wildcards for setting zip/postcodes. Note – Postcode refers to single code like 90210, range of postcodes refers to that with a starting code and ending code where all the codes within them are considered, like 90210…99000 and use of wildcards refers to all codes starting with a specific set of letters and numbers, like CB23*. This shows 3 different shipping zones namely West Zone, Domestic and Europe with regions and postcodes added for them. 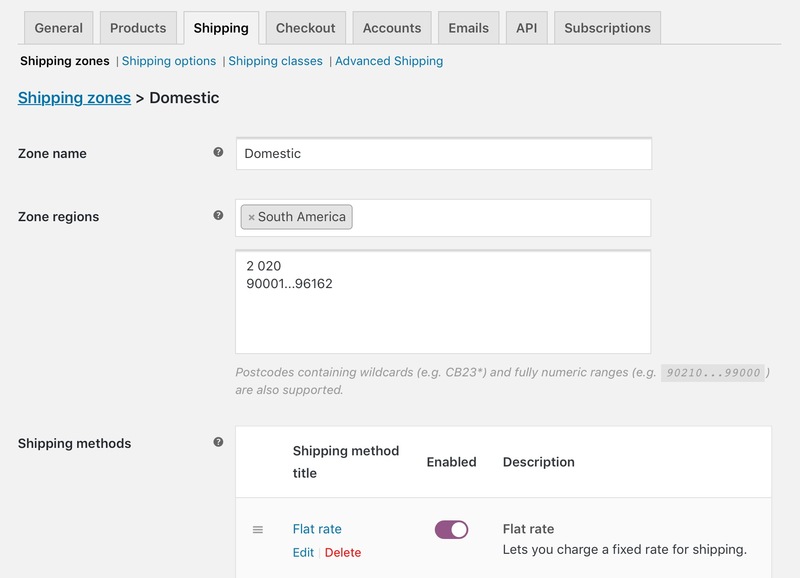 So now when a customer from South America orders online and requests for shipping the goods to area with postcode 2 020 or ranging between 90001 to 96162, Flat Rate shipping method will be displayed on the checkout page. 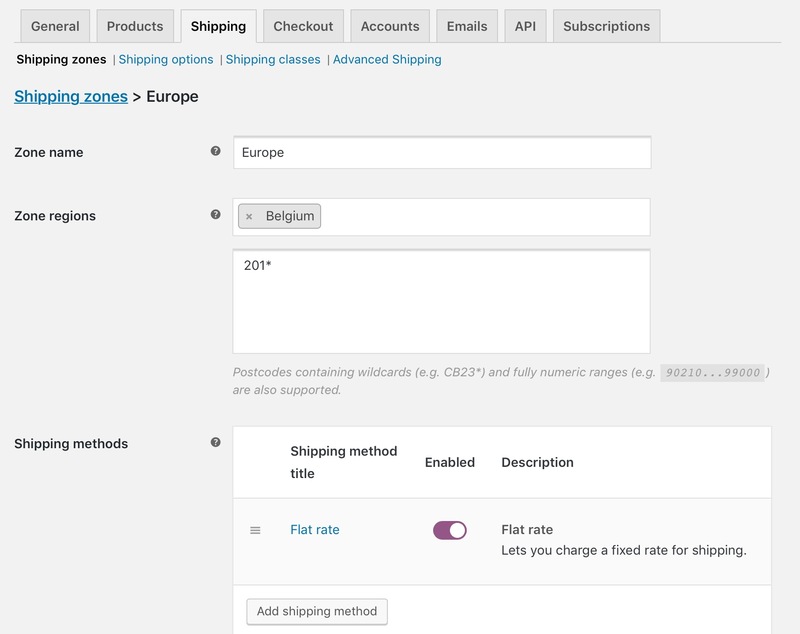 Similarly when a customer from Belgium places an order to be shipped to address with postcode starting with 201, then Flat Rate shipping method will appear on checkout page. WooCommerce Shipping functionalities indeed are a boon to online shop owners since these bring ease in the entire order delivery process. Customers also can take advantage of it in real sense as different options for order delivery are available during checkout which makes their entire online experience pleasant.